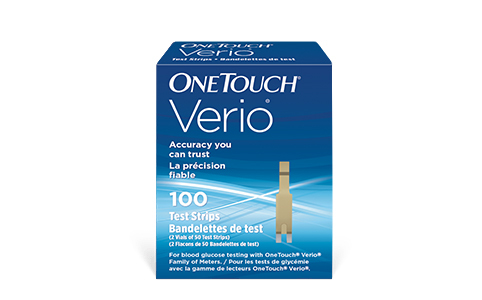 The OneTouch Verio Flex® meter helps patients track important information in the moment, on the go, and at home. 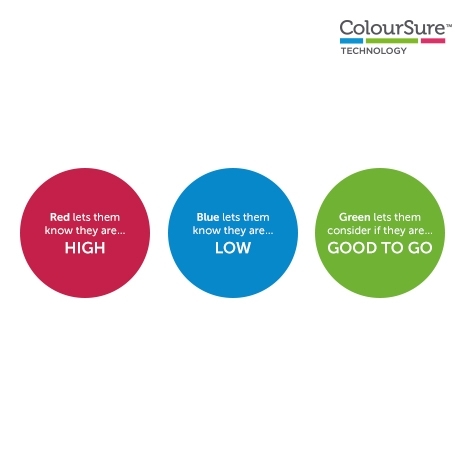 ColourSure™ technology instantly shows patients if their blood glucose levels are in or out of range. 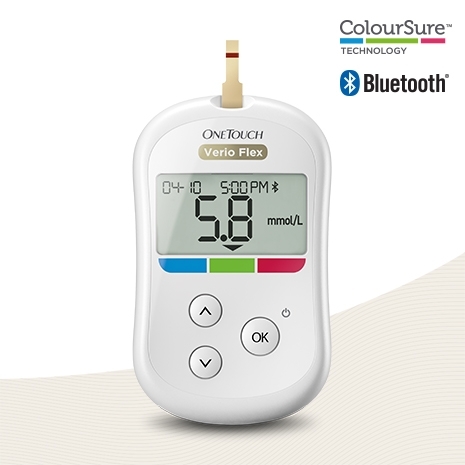 The Range Indicator arrow points to the corresponding blue, green, or red colour bar below the meter display. 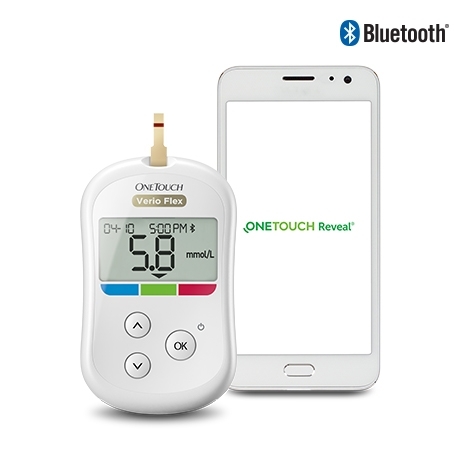 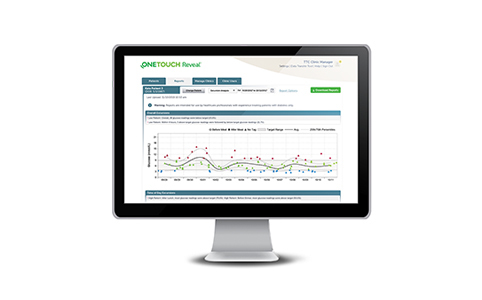 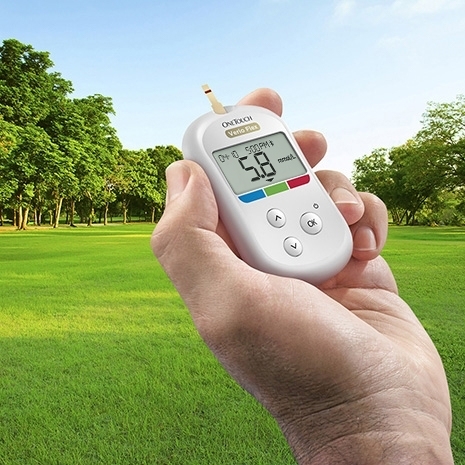 The OneTouch Verio Flex® meter also connects wirelessly with the OneTouch Reveal® mobile app. 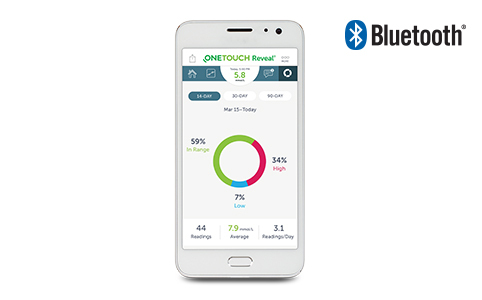 Get started with the OneTouch Reveal® mobile app. 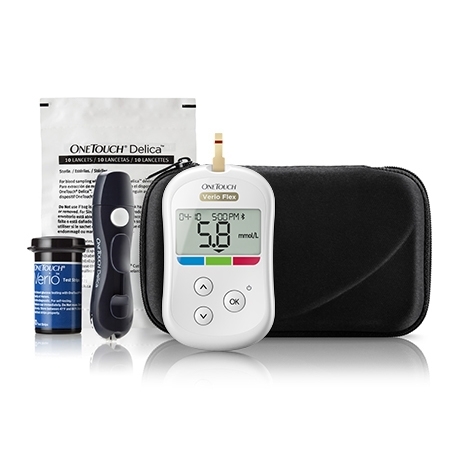 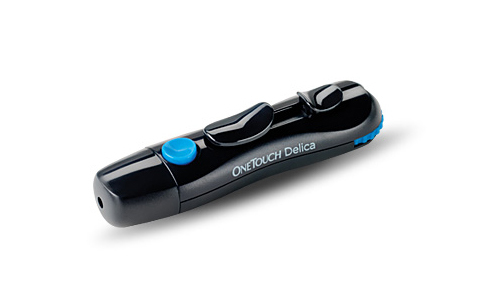 * In a clinical lancing study of nearly 200 people with diabetes, 4 out of 5 reported the OneTouch® Delica® Lancing System was virtually painless when used with the 33­-gauge lancet.